1. An integer `customer` column where every customer is identified with the same id as the customer_id in sakila.customers table. 2. A string `label` column (char, varchar or TEXT) where the information is formatted like a label in printable format consisting of full name, address, state and country. To obtain information from various tables in 'sakila' like customer, address, city and country the following query can be made use of. 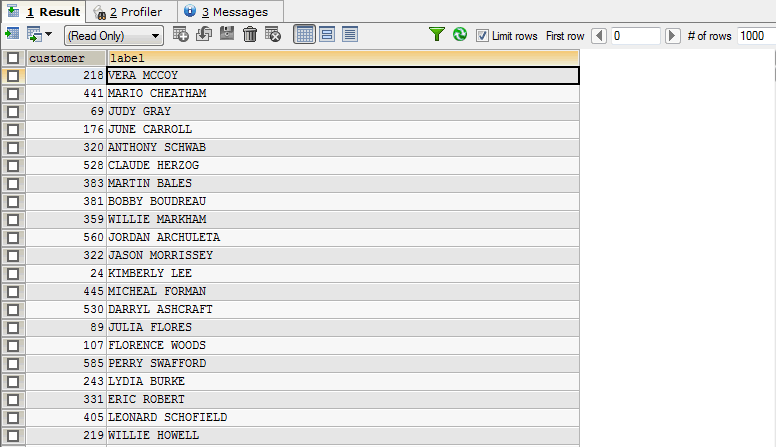 The aliases 'customer' and 'label' also define the column names of the target table where the data are imported. So the table that was created in advance should use those column names. The screen shot below shows the page in the wizard where you can enter the query. 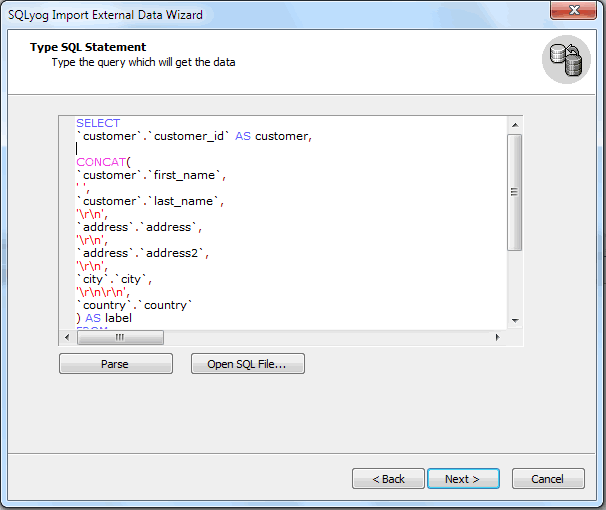 1) The SQL entered when selecting to 'specify a query' is executed on source database. So the 'SQL-dialect' used in the query should follow the rules of the source server (SQL Server, Oracle etc. syntax may differ from the MySQL syntax in some respects). 2) When using the option to 'specify a query' you can only import to a single table per job.